Do you talk to your kids about money? Do they get pocket money? Being financially literate and understanding about money is a great life skill to have. Money is great. Money gives you options and also allows you to do things you wish to do in life. Having cash on you to buy things has nearly disappeared, our society is basically a cashless one that relies on debit and credit cards for all purchases. The girls bought some nice plants for the bathroom. Well indoor plants, so we thought that the bathroom might be a good spot since we are in a cold climate. My kids thought that to buy something you just use mummy’s card and they can get whatever they wish. What they didn’t know was that this card has money that we pay off regularly. Teaching kids about money is so essential. Kids who have a good understanding of saving, budgeting and spending do better as adults. What would I want the kids to know? You don’t have to buy items just because. You need to understand if you really need it and will use it. How do you teach your children financial literacy when they never see you spend real money? Nowadays everyone seems to go cashless; using credit or debit cards for all purchases. 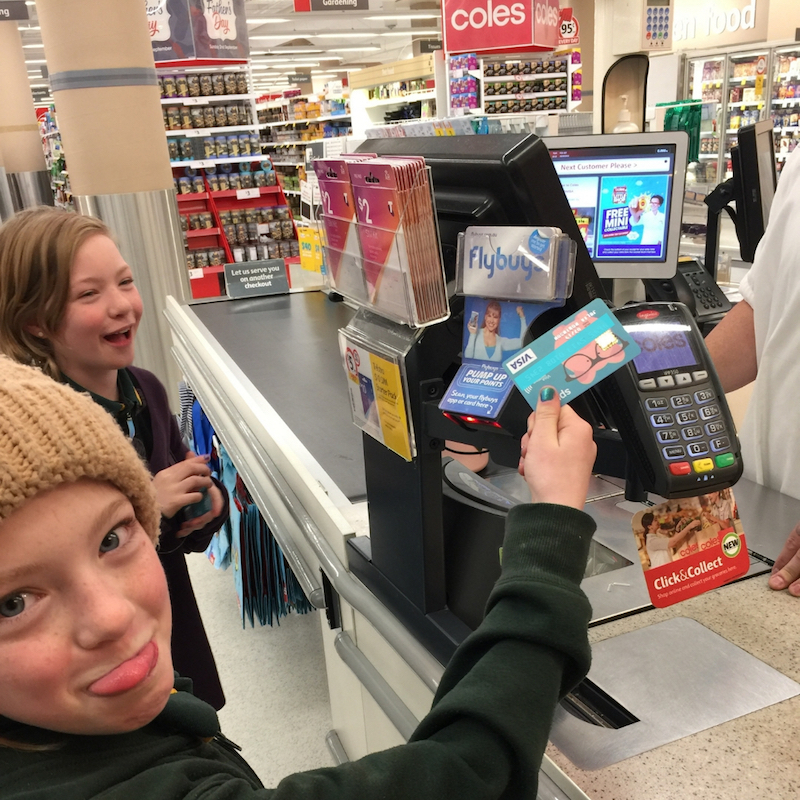 Kids must think that money is infinite and if you wish to purchase something all you have to do is to tap your card, enter a pin number or sign for it. It’s that easy. However, it’s not that simple. Kids don’t see that the cards have to have money on them and if they are credit that those amounts need to be paid back to the bank. It is something that is not visible and therefore not understood. 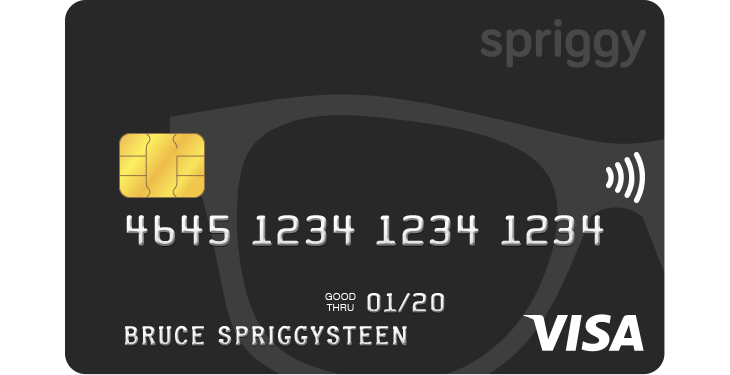 Spriggy is a new digital form of pocket money. Yep, kids can have a pre-paid card of their very own. A Spriggy card gives kids independence to buy things themselves and to save for items that they have always wanted. It is all run via an app that allows the parent to top up and to manage each child’s pocket money. Having this is a great incentive to do chores to get pocket money for saving or for that new LEGO toy that someone has been wanting. You need to do chores to earn pocket money. Clean their room, tidy up other areas of the house, help out and just be good. It is a good idea to save money for things you want and to just have money for anything they would like. My kids like to just spend regardless of what they are buying. I have told them that they need to understand if they really want it or need it. Once they buy a toy or item will they use it? Or will it be broken quickly and end up in the bin? I think they are at an age that they can make this evaluation. It is okay to buy things that they like, and are just for fun. I am making sure that they realise that they should set aside a certain amount of savings for a little fun and to not blow all their money. Currently, the girls are working on their saving goals. In the Spriggy App you can set a goal for each child and therefore gives them an incentive to save and earn more money. Explained that if they spend the amount on their cards they need to wait until they save more money. It is not instant and if they wish to do more jobs around the house they might get more money and get to their goal sooner. Spriggy is all set up and ready to go! How does the Spriggy Card Work? First 30 days free and then after that it is $30/year for each child. Once all set up you can transfer money from the Parent Wallet and set up regular transfers for pocket money weekly. You can manually transfer the money or have the pocket money on auto so that it happens at the same time each week. You can reset pins also if your child has forgotten theirs. If you are at the shops you can instantly see via the app how much money each kid has on their card and top it up if needed. As long as you have the funds in the parent wallet. Pocket money is usually a child’s first way to practice spending, saving and understanding about money. It doesn’t matter how much pocket money kids get, as long as they start learning how to manage their own money. Pocket money means that children can have some responsibility for what they purchase and also independence. It’s up to them if they spend it or save it, or do a little of both. It is their decision to make. Spriggy sent both the girls a Spriggy card each, and the girls love them. 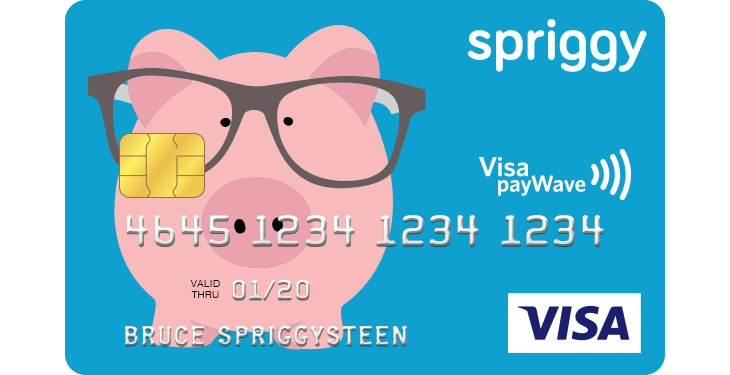 Why do the girls love their new pre-paid Spriggy Cards? 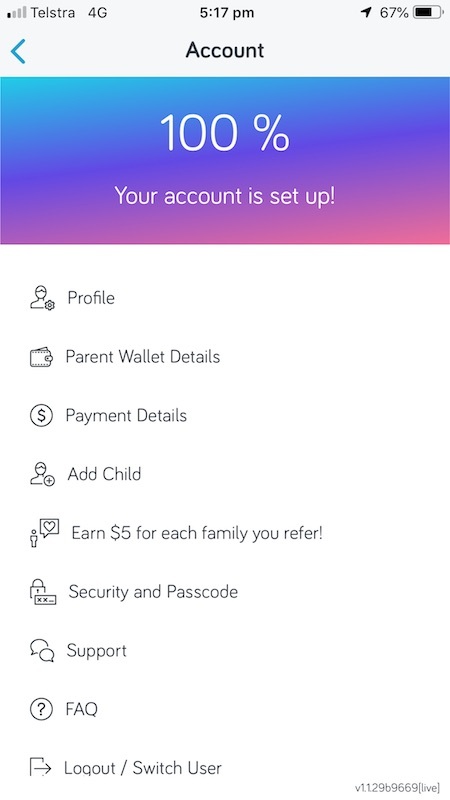 If you use the referral code you will get $5 and so will I…. Yep a great deal! The twins wanted to have a purse to put cards in like mummy and daddy. Now with their Spriggy cards and new purses, they feel very grown up. Are you using Spriggy for your kids pocket money? Have you heard about it and wish to give it a go? Sign up and I think you will love it as much as the twins and I do. 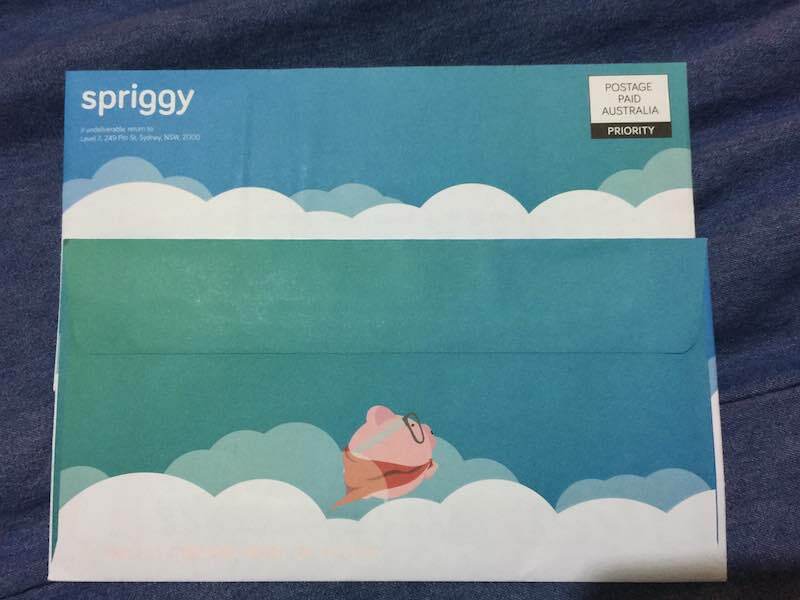 Spriggy has a try for 30 days for FREE. A HUGE thank you to Spriggy for sending the kids cards to test out. They loooove them so much! In the next post about our Spriggy Cards more about the girl’s savings goals and what they are learning with their new prepaid cards.